Bursting with color, heart and humor, THE ADVENTURES OF RAGGEDY ANN & ANDY brings classic entertainment to the whole family. When the lights go out in Marcella’s bedroom, Raggedy Ann & Andy and their delightful band of friends set off for the magical world of Raggedyland. Each exciting adventure brings them face-to-face with fabulous new creatures like Perriwonks, Pirates, and Mabbits. 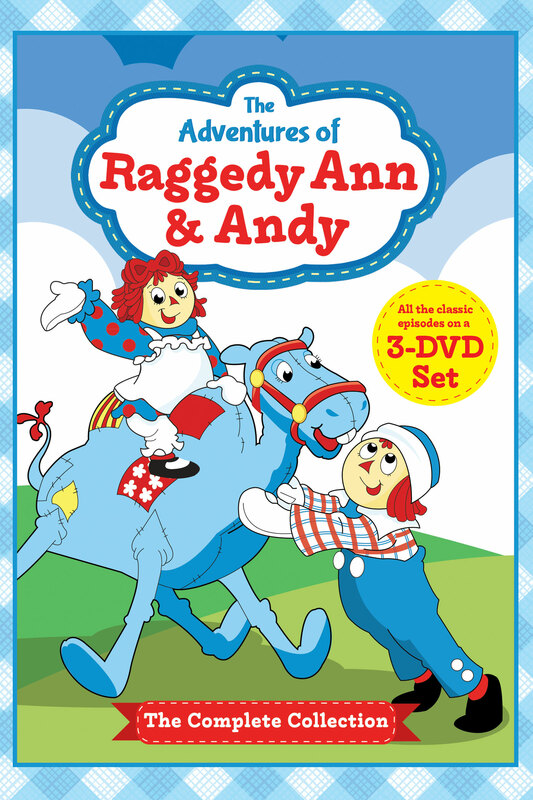 Relive the magic of Raggedy Ann & Andy with THE COMPLETE COLLECTION perfect for the whole family!